Note: 1. Your laptop needs a good battery to get perfect performance. 2. News from the original factory: due to the battery model has already damaged, W860BAT-3 battery (USD 169.17) will not provide for ever! Replacement 10.8V 6600mAh Battery For LENOVO T41 Series Laptop , High quality LENOVO T41 Series laptop batteries in usa battery stores, welcome order T41 Series battery for LENOVO laptop, find T41 Series battery here, choose long life T41 Series battery for your LENOVO computer in replacement-laptop-battery.com. Replacement 10.8V 5200mAh Battery For LENOVO T41 Series Laptop , High quality LENOVO T41 Series laptop batteries in usa battery stores, welcome order T41 Series battery for LENOVO laptop, find T41 Series battery here, choose long life T41 Series battery for your LENOVO computer in replacement-laptop-battery.com. How can i sure this T41 Series battery is the correct one i need? My original LENOVO T41 Series battery is most the same as the picture in this page. The same out put volt as my original battery. It can compatible the battery number of my LENOVO T41 Series original battery. It is show clearly this battery can fit my machine model. (Not Necessary). How can i do when i didn't find my machine model (laptop model) listed here? Make sure the out put volt and battery shape most the same as your original item. Make sure the part number of your original battery is listed on this page. Tell us your machine brand and model before add it to cart. 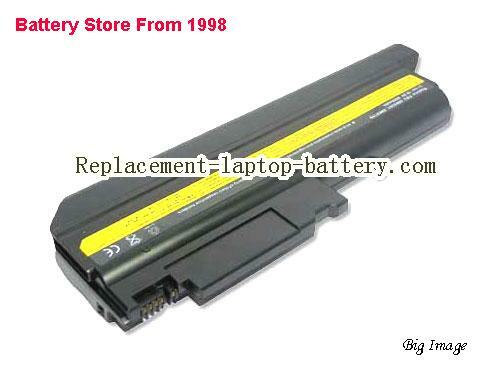 Other usefull knowledge for find a correct LENOVO T41 Series laptop battery. Battery OutPut Volt : 10.8v and 11.1v, 14.4v and 14.8v can compatible each other, beacuse all laptops can deal with as max as 0.8V voltage difference. Battery Capacity: Higher capacity means longer work time. Try seach with the laptop model or battery number on our site, you can find it easliy. Tell us your laptop model and the battery number when you fill the shipping information will help you get a correct item. 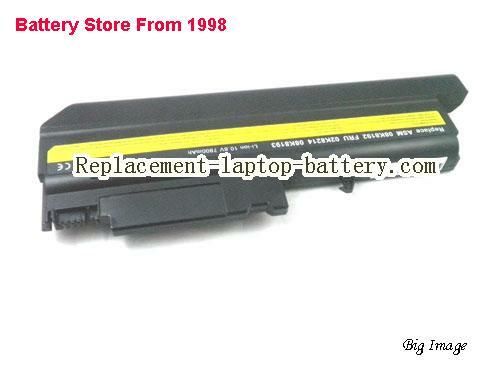 We are professional in laptop batteris from 1998. Highly recommended press " Ctr + D " to bookmark this page, So you can came back any time when you need compare price or service. How we test laptop battery? Check if the customer has purchased the correct battery. Check battery's appearance and interface. Test battery's charger and recharger function. Charger the battery to 100% and recharger to 0% to get real battery's capacity. Use Ev2300 to check voltage difference of each goroup battery cells. Charger battery power more than 30%. Package battery carefully and send it out. No registration required. No login page can be attacked, Customer do not need record registration and password , do not need worry about personal information disclosure. Customer do the payment in paypal or credit card safe system which is under professional https encryption protection. Our system do not record any paypal or credit card information except ' paid susscessfull ' or ' paid faild' . Customer can get money back by paypal or bank if didn't receive item. Our company more than 10 years laptop battery experience, you are in 10 years old shop. We add new batteries, update new models every week. Battery will be checked and tested 2 times before sent out. We accept Visa, MasterCard, JCB Credit Card and Paypal. Same Day / The Next Day Fast Shipping. Online shopping for high quality and cheap LENOVO T41 Series. All LENOVO Laptop Computer Batteries and Notebook Batteries are 30 Days Money Back, 1 year warranty. Copyright © 1998-2019 Replacement Laptop Battery All Rights Reserved.